The great battle of the age is now on between Christianity and evolution, or so said George Washburn. He was one of the many men who heard the call to pick up the antievolution fight where William Jennings Bryan had left off when he died. Drawing upon the wealth he had accumulated from dealing in real estate and hotels, Washburn helped establish the Bible Crusaders of America in 1925. God had chosen him for this task, he said, and he took on the job with gusto from his Clearwater headquarters. Part of his grand vision was to sweep evolution out of nation’s schools, but the first mission he set out on was to get evolution out of Florida textbooks. The fight over textbooks is going to be a recurring motif throughout this history series. So, a little historical background is in order to put everything in context. There’s more to the roots of the evolution/creationism controversy than a simple black and white, God versus Darwin conflict. To really see what motivated people you have to first get a feel for the time and place in which they lived. Society in general was changing in the late 19th and early 20th centuries, and education along with it. Following World War I a clash between urban and rural living was developing, with many rural families taking offense at what they felt was an alien invasion into their lives by the progressive cities. There was a stark contrast between urban-industrial and rural-agricultural ways of life. William Jennings Bryan expressed this theme himself in 1896, long before he had ever taken up the evolution fight. He said, “Burn down your cities and leave our farms, and your cities will spring up again as if by magic; but destroy our farms and the grass will grow in the streets of every city in the country.” Prohibition was a hot topic around this time, with Bryan taking a prominent role in that effort, too. Education reform was a big deal. Schools used to be controlled entirely on the local level, but now education was becoming centralized and school attendance compulsory. This added to the urban/rural clash. There was the feeling among rural families that urban society’s modernizing was ripping the heart out of long-standing tradition and family values. Education leaders were also twisting themselves into pretzels trying to figure out how to provide a challenging curriculum with college-bound students in mind while also providing a quality education for the masses that had no higher education aspirations. With all of those problems boiling away, now toss textbooks into the stew. Companies headquartered in big cities published the textbooks. The authors typically had a social reform agenda, and their writing focused on civic responsibilities. The biology books of the time made a big deal out of steering lessons toward how biology applies to modern concerns like sanitation, a healthy diet, and the effects of alcohol. Just like the education leaders, textbook publishers tried to figure out how to juggle urban versus rural and college versus vocational. In some cases the publishers offered two versions of books, one for northern sales regions and one for southern regions. Textbooks of this time period were expensive to produce and difficult to change. As a consequence, the textbooks tended to drive the school districts’ curriculum rather than the other way around. Typically, if something was in the textbooks it was taught in the classrooms. Enter evolution. Late in the 19th century botany and zoology were considered separate subjects of study. On the rare occasion when the two were lumped together in one book, the subjects were still treated as separate. It wasn’t until about the same time general education reform was shaking things up did the concept of blending the two subjects into one subject called biology become commonplace. And what is a theme that perfectly crosses that botany/zoology divide to draw the two seamlessly together? Evolution, of course. Government was taking control of education. Children all across the country were being required to attend school. The new subject of biology was seen as a progressive educational subject that addressed important civic issues. Evolution, an important aspect of biology, was being “forced” upon students and their families for the first time. The “perfect storm” had developed. The Scopes trial was inevitable. It’s fun to play the “what if” game with history. What if the Scopes trial judge had allowed education and science experts to testify for the defense, as Clarence Darrow had wanted? What if Darrow had not called Bryan to the witness stand and grilled him on Bible interpretation? What if science had been the theme of the trial rather than religion? Would Florida’s Mr. Washburn still have made his “great battle of the age” declaration? We’ll never know. Washburn was probably absolutely beside himself with what he saw in Florida’s main biology textbook at that time: Benjamin C. Gruenberg’s textbook Elementary Biology. It was packed with evolution. Entire sections and chapters were devoted to the subject. On page 483 is an evolutionary tree with man (in a suit; how quaint) included. Gruenberg was even one of the witnesses Darrow had wanted at the Scopes trial. Washburn vowed that this book had to go. He started with Governor John Martin, but didn’t get any satisfaction. Next, he relentlessly pestered State Superintendent of Public Instruction W.S. Cawthon and finally got somewhere. Washburn relied on the antievolution resolution passed in 1923, saying that it had stemmed from the constitution’s prohibition of teaching religion in schools supported by taxes. Cawthon apparently bought that argument and agreed to drop Elementary Biology. It turns out that Gruenberg authored a new textbook that came out just as the Scopes trial was about to kick off. This edition, Biology and Human Life, avoided any mention of evolution. Textbook publishers had been spooked by the Scopes trial. Spotlighted during that trial was the book Civic Biology, and the negative publicity generated really upset its publishers. A few years earlier, Gruenberg’s publisher saw the coming storm and asked Bryan directly what would make a biology textbook acceptable and inoffensive. 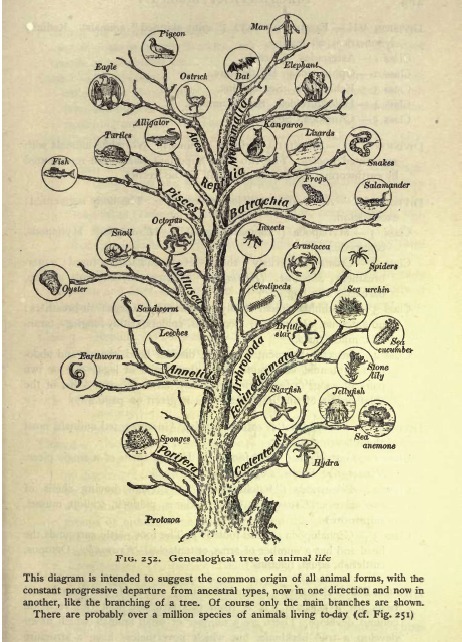 Bryan’s answer was simple: “eliminating the objectionable phraseology [evolution] from the text books.” The result was Biology and Human Life, which replaced evolution-laced Elementary Biology as Florida’s textbook of choice. Now that the Bible Crusaders of America had notched a win, antievolutionists grew bolder. There were rumors that 1927 would see yet another attempt in the state legislature at outlawing evolution in schools. Some educators didn’t like what was developing. The Florida Education Association met in late 1926 and produced a resolution directed at lawmakers, asking them to not mess with evolution education. It was to no avail, though. Evolution instruction in the public schools became one of the most inflammatory subjects during the 1927 legislative session, as you’ll see in the next installment of the Florida’s Greatest Menace series.